Republicans and Democrats agreeing on anything these days is about as rare as snow in summer. It happens, but not very often. When it does, everyone takes notice. So, pay attention: The Republican and Democratic parties of South Dakota are united in their opposition to Initiated Measure 25. That says a lot about how bad this tax-and-spend measure is for the state. The measure would increase revenue by increasing the wholesale tobacco tax by 20 percentage points and raising the cigarette tax by a dollar a pack. A portion of what’s raised would be put toward tuition reduction and workforce training for South Dakota’s technical schools. At their state convention this summer, Democrats adopted a resolution opposing IM-25 in part because of the regressive nature of the tax. It would hit the poor the hardest. A week later, Republicans officially opposed the measure because it doesn’t include protections against wasteful spending or the diversion of the revenue to other programs. Both parties are raising valid concerns about IM-25, and South Dakotans will decide its fate in November. But the more people learn about this proposed tax hike, the less likely they are to support it. 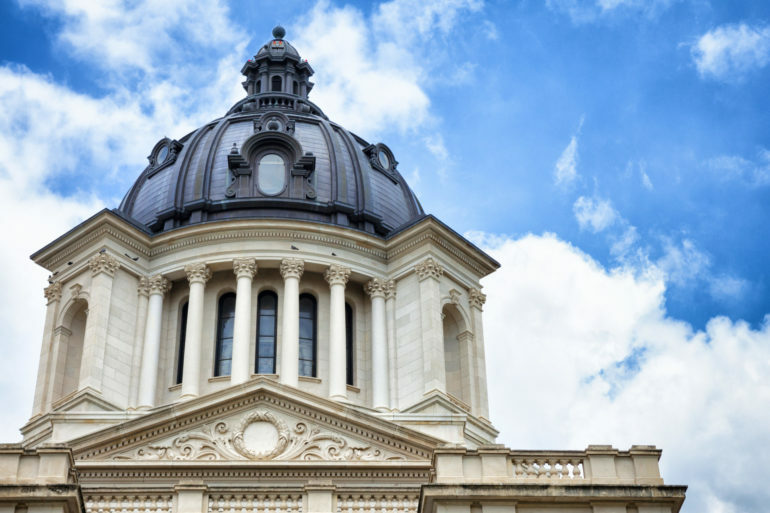 What’s to like about a multimillion-dollar tax hike that is poorly written, offers little transparency, could hurt South Dakota’s most vulnerable citizens and, after all that, still might not be the gushing source of revenue for technical training its proponents say it will be? Before supporting another massive tax increase in South Dakota, voters need guarantees the money will be spent as promised. IM-25 is projected to generate $35 million per year, but the $20 million earmarked for reducing tuition and funding training kicks in only after the tax generates $30 million for the general fund and $5 million for tobacco prevention and awareness campaigns. Only then will additional funds be spent toward that $20 million. Bear in mind, this is a massive tax increase – and it will hurt poor South Dakotans the hardest. Tobacco taxes are by nature regressive; the poorer you are, the greater the burden on your budget. In New York, where cigarette taxes are among the highest in the nation, these taxes mean cigarette purchases eat up nearly a quarter of a low-income household’s budget. But even imposing that tax burden on the poor might not be enough to raise the estimated $35 million, given that tobacco taxes are unstable sources of revenue to begin with. The Centers for Disease Control and Prevention found that cigarette smoking is declining among adults, and more and more people are quitting, too. Those who still smoke are smoking fewer cigarettes per day. Raising tobacco and cigarette taxes will only encourage these healthy behaviors, meaning incoming tax dollars will decrease the higher those tax rates get. If these trends continue, how could IM-25 possibly raise the revenue it’s promising? This measure is a shaky foundation on which to build funds for our future workforce. If Republicans and Democrats can come together to reject this measure, surely South Dakota’s citizens can agree on rejecting it, too. This November, voters should say no to IM-25. Don Haggar is the state director of Americans for Prosperity in South Dakota.